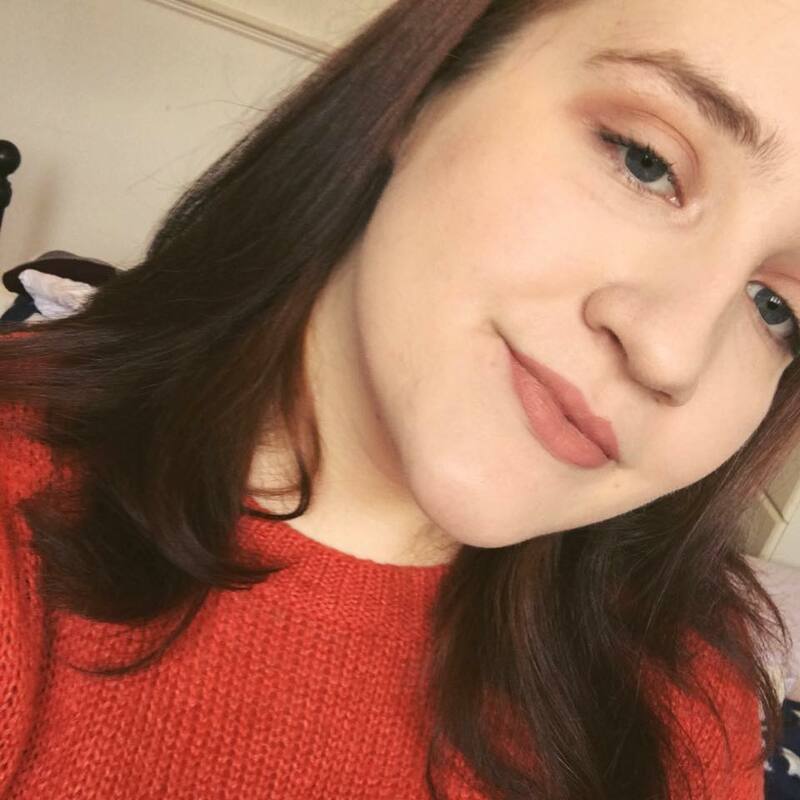 A bit of a different image from the ones I usually post of myself, right? It's 1pm and I have a GP appointment at 3:30 so I really should get up and have a shower. I'm just not feeling it. I've eaten three pain au chocolat and chugged a coffee and other than a quick trip to the kitchen, I haven't left my bed. I've been sat here doing my best to be productive since I woke up at 10. My hair has been scooped up into a scrunchie unbrushed and I've written part of a blog post and taken some pretty flat lays of whatever I can reach from my bed. For the rest of the time I've been up, I've mostly just been overthinking and curling up back into my bed, hoping that the world will disappear for a little while. 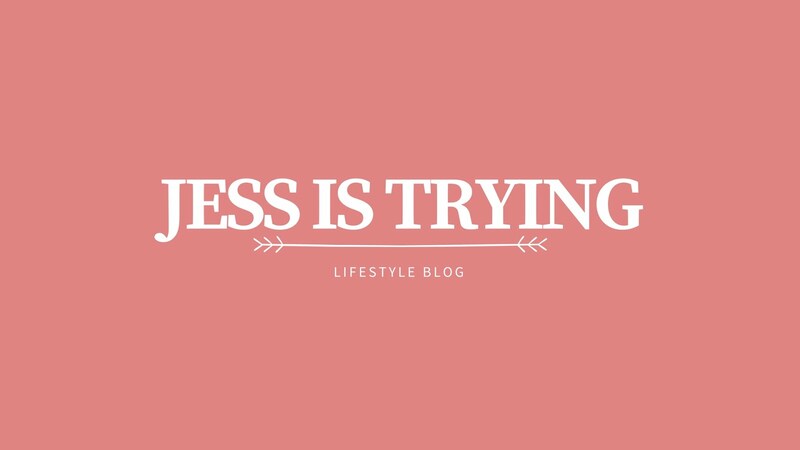 I've been thinking about how I've gained weight, about how my health (mental and physical) is all over the place, and about all of the things I'm supposed to have done since I started my Easter holiday. My self-esteem fluctuates a lot and today it's totally and completely lacking. The reality is, I was supposed to leave the house by 8:30 this morning. I was supposed to go to the library and get some studying done before the GP appointment. I woke up super late after turning off all my alarms (I can't remember doing this but I assume I did) and I immediately felt a familiar tightness in my chest. I forgot to take my meds (I should take those now) I don't want to leave my house at all today but I have to go to this GP appointment since my health is really worrying me at the moment and I promised my mum over the phone that I would go. In the next 10 minutes, I need to get out of bed and throw myself into the shower. Or maybe in the next 15, 20 or even 30 minutes. Maybe in an hour. I am a pro at putting things off. When I have days like these, it's a miracle if I leave the house. I tell myself that I'm just lazy and a bad person. That i'm lying to everyone who thinks that I spend all day every day getting things done and being incredibly productive. I tell everyone around me that I'm fine and that I've been very productive today. I got up at a decent time and I am coping very well today. To be fair, most days I get myself up and out of the house at a decent time. I am good at getting lots done. I am very productive when I want to be and I successfully juggle several projects at once. However, when these days come I am absolutely useless. Thankfully, I had a free morning so this crash didn't exactly ruin my plans for the day. Once I'm out of the house and walking to the GP, I'll likely feel different to how I feel now. Once I'm out and about, it's way easier to push myself to get stuff done. I'm going to pack my bag for the library and hope that I can get myself to go and do some work this afternoon. 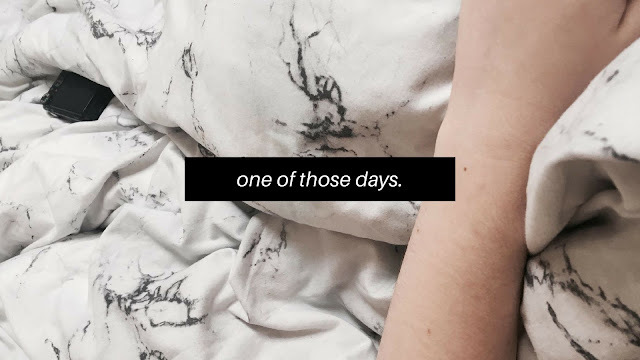 I have no idea if this post 'flowed' at all or if it's a worthwhile read, I just wanted to show that we all have those days and it's okay to show others. It's just a part of life and not something to completely sweep under the rug.